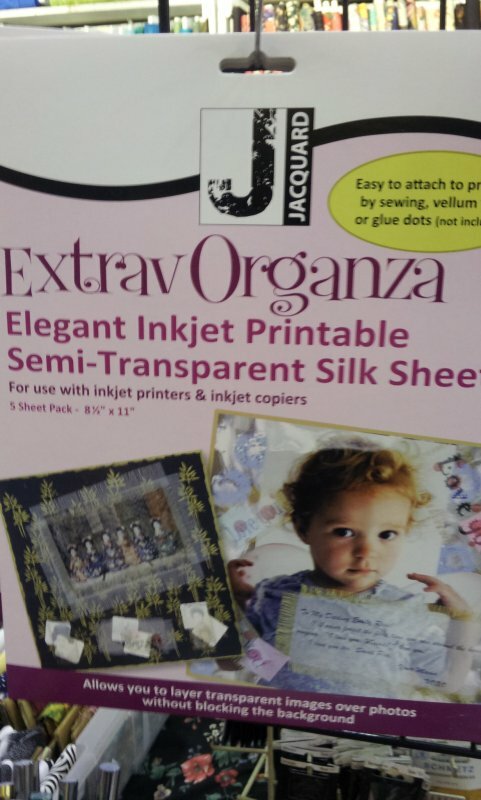 Fiber Arts > ExtravOrganza Inkjet Printable Semi-Transparent Silk Sheets - 8 1/2" x 11"
ExtravOrganza Inkjet Printable Semi-Transparent Silk Sheets - Anything you create or have on your computer, such as drawings or photographs, you can print on silk organza sheets. the fabric sheets are paper-backed, so they go through your inkjet printer or inkjet copier just like paper. After printing, just peel off the paper backing. If item is to be rinsed, a waiting time of 24 hours is recommended. Attach to any project by sewing or using a fusible bonding material (not included). 5 - 8.5" x 11" sheets.